SMI Group hospital consultants are highly skilled at improving sterile processing operations with a proven, result based track record. We can assess your program, identify opportunity, and implement best practice improvements; provide interim SPD management and staff training and education; recommend optimal equipment, design and renovation solutions, install state-of-the-art instrument management systems, prepare your team for regulatory audits and create or update policies and procedures. We can help you increase SPD capacity, which will provide your OR with added scheduling flexibility and volume potential. Our expertise also includes Endoscopic Reprocessing. The SPD Program Assessment is appropriate for the hospital needing assistance to help create a vision, to identify opportunities for improvement, or to gain an outside perspective about the quality, effectiveness, and service orientation of their sterile processing function. Recommendations are provided for proposed changes in the organizational structure, training and education, equipment and design options, workflow, communication, and quality assurance. We have the expertise to advise you on the best equipment options that reduce cost and utility consumption while meeting your current and projected workload capacity and improving processing efficacy and efficiency. Our experience can benefit you in an inpatient setting, an ambulatory operation or in developing remote sterile processing alternatives. Is space a problem? 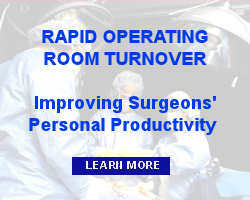 We can help you in new design, retrofitting existing space, or operationalizing an off-site sterile processing center. Item specific tracking and status information is critical to provide competitive advantage. SMiG can provide guidance and resource to support the implementation of these systems so that your team can remain on task with daily operations and update services at the same time. We can also teach your teams how to use these systems to actively manage instrument inventory and optimize personnel productivity. 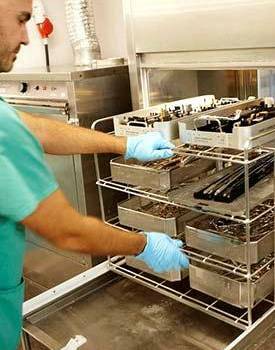 Sterile Processing is rapidly gaining regulatory visibility. Surveyors have been specially trained to review various components of Sterile Processing workflow and many locations are not compliant. We can audit your department and recommend solutions to regulatory risk areas as well as prepare for special certifications. Current policies and procedures that match practice are vital for regulatory reviews, best performance and patient safety. We can review your current portfolio and suggest revisions, updates and additions or create new ones. We can also in-service your staff on those changes. The SPD Staffing Analysis is appropriate for the hospital that requires a determination of appropriate staffing to meet regulatory compliance and customer demand. This analysis is performed in conjunction with the hospital's SPD manager in order to gain acceptance and transfer understanding of the methodology utilized. The analysis determines the FTE budget and appropriate staffing pattern (by shift, time of day, and work station) and gives the manager a tool for future assessment of FTE needs as program demand changes. Staff training and preparation for certification. On-site Implementation Assistance is often provided in conjunction with or following a program assessment. This type of assistance is appropriate for the hospital/health system seeking both Sterile Processing Department management team mentoring and project management of improvement initiatives. Implementation activities are organized through an OR/SPD Action Committee, which becomes the group responsible for initial project objectives and ongoing quality assurance. Tools and the development of an implementation plan are included. Has an open sterile processing department leadership position. Needs assistance mentoring an existing manager. Is seeking fundamental or significant operations improvement. Contact SMI Group today to discuss your Sterile Processing Department Management needs.